Folk traditions have a way of infiltrating our lives with both pleasure and confusion, and the history of Anadama Bread is no exception. The New England tradition of making this bread using cornmeal, wheat flour, and sometimes rye flour brings pleasure to anyone lucky enough to have ever eaten it. However, for those of us trying to untangle the history behind the recipe, including how the bread was named, confusion abounds. There are many variations of this story and there is no way to actually trace its origins with documented evidence, but there is no place for the truth where folklore is concerned! 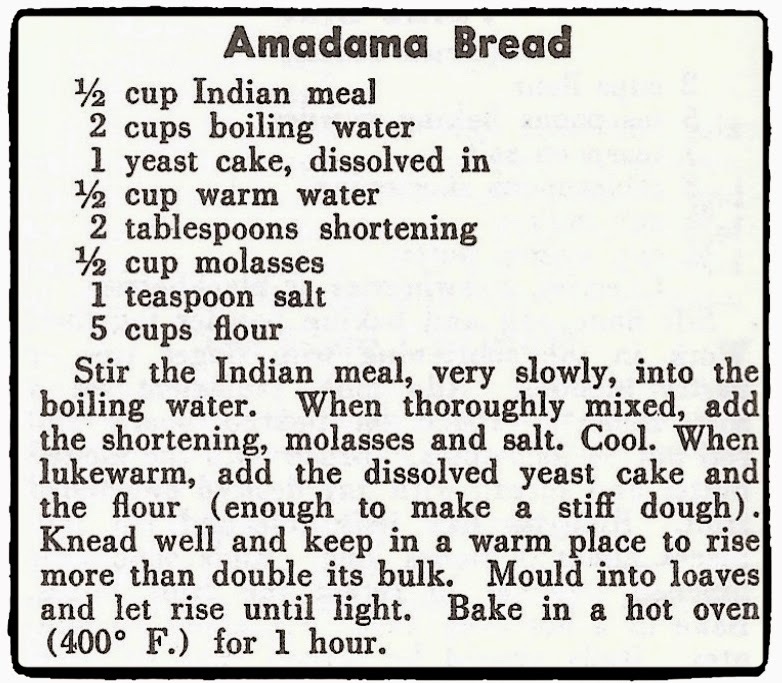 What is known is that according to the records of the U.S. Patent and Trademark Office, Anadama bread was introduced as a brand of bread in 1850, and the first use in commerce was July 1, 1876 for Anadama Mixes, Incorporated. Around the turn of the 20th century, Baker Knowlton of Rockport, MA made the bread and sold his version of it in horse-drawn carts. 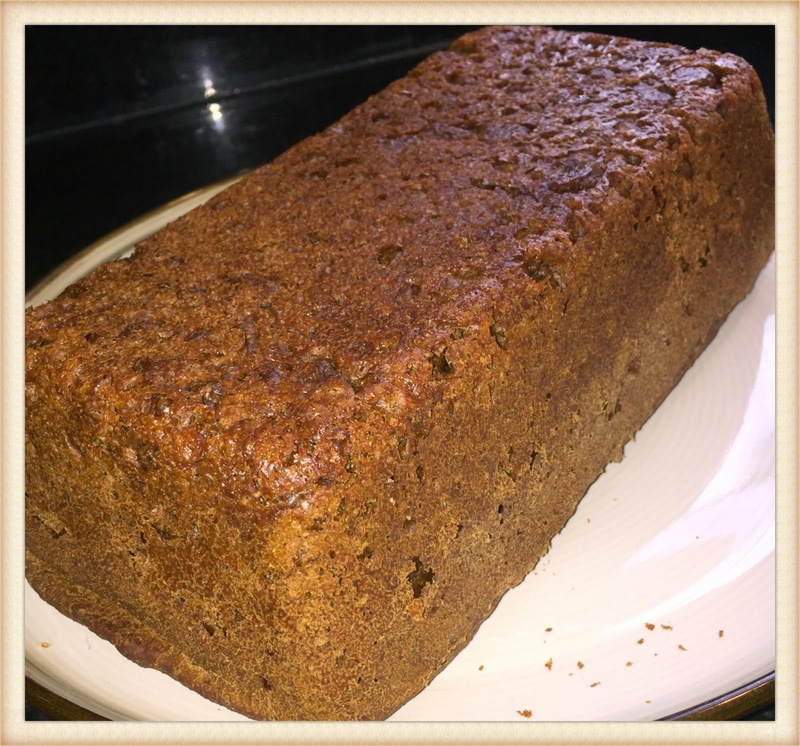 Additionally, other 20th century bakeries made and sold Anadama bread throughout the New England region. The Fannie Farmer Cookbook, 12th edition. Bantam Books: 1979. Brown and crusty with a chewy, springy texture, this old fashioned batter bread, quick and easy to make, is an American classic. Put the cornmeal in a large mixing bowl. Bring 2 cups water to a boil and pour it over the cornmeal. Stir until smooth, making sure that the cornmeal does not lump, Let stand for 30 minutes. Stir the yeast into 1/2 cup warm water and let stand for 5 minutes to dissolve. Add the molasses, salt, butter, and dissolved yeast to the cornmeal mixture. Stir in the flour and beat thoroughly. Spoon into 2 buttered loaf pans, cover, and let rise in a warm spot until double in bulk. Preheat the oven to 350ºF (180ºC). Bake bread for 45-50 minutes. Remove from pans and cool on racks.